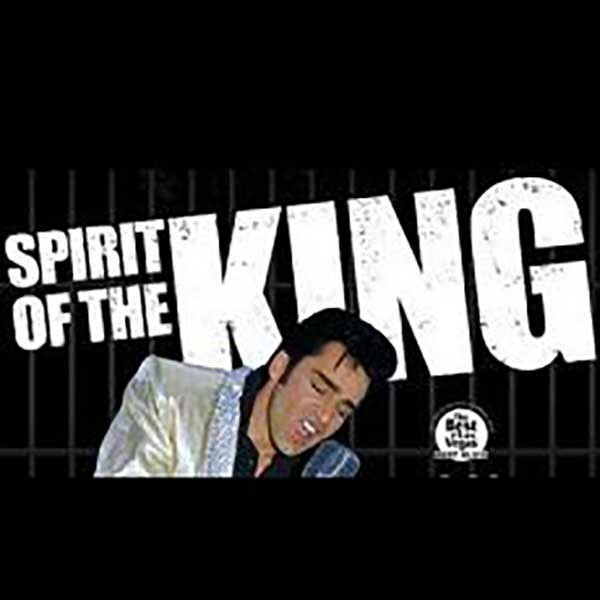 Spirit of the King stars one of the most acclaimed Elvis tribute artists on the planet as he channels The King of Rock n Roll at The Four Queens in Downtown Las Vegas. Elvis Presley is one of the most legendary artists in the history of music, and he had a long history with Las Vegas that is still evident in the countless impersonators performing throughout the city. While finding a tribute to The King of Rock n’ Roll in Sin City is almost as easy as finding a Craps table, Steve Connolly stands out from the pack. Praised by the likes of everyone from Aerosmith’s Steven Tyler to no less than former President Bill Clinton, Connolly takes the stage at The Four Queens in Downtown Las Vegas to resurrect the Spirit of the King. Viva Las Vegas is one of the most famous cuts from the Elvis songbook and was the title of one of his most famous movies when he was young, and The King spent his twilight years selling out The International Hotel (now known as The Westgate) for hundreds of consecutive performances. Now you can experience the music of the legendary rock pioneer from one of the most acclaimed impersonators to ever take on the formidable task of stepping into his shoes at the old school showroom in The Four Queens. 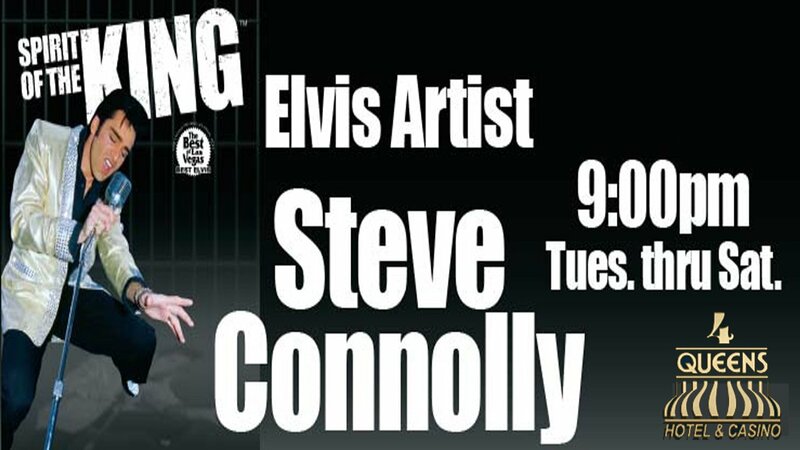 The eclectically talented Steve Connolly started out as an art restorer and church ceiling painter who found success as a member of a heavy metal band before becoming one of the most sought after Elvis impersonators on the planet. He’s won awards for his spot on impersonation and in addition to the effusive praised he received from Tyler and Clinton, he was also the only tribute artist to ever win the title of “Best Elvis in Las Vegas” for consecutive years by The Las Vegas Review Journal. He performed to large crowds as The King of Rock n’ Roll at various venues in Las Vegas and in Palm Springs (and in front of rock stars and world leaders) for more than a decade and a half before he settled into his current gig. Now he takes the stage at The Four Queens and performs immortal Elvis classics like Love Me Tender, In the Ghetto, Jailhouse Rock, A Little Less Conversation, Heartbreak Hotel, Suspicious Minds, and of course Viva Las Vegas, all while embodying the signature moves, stage charisma, and flamboyant costumes that made Elvis a larger than life icon. While Elvis may have left the building for good many years ago, you can experience the next best thing as one of the most acclaimed tribute artists on the planet brings the legendary music to vivid life at The Four Queens in Downtown Las Vegas.